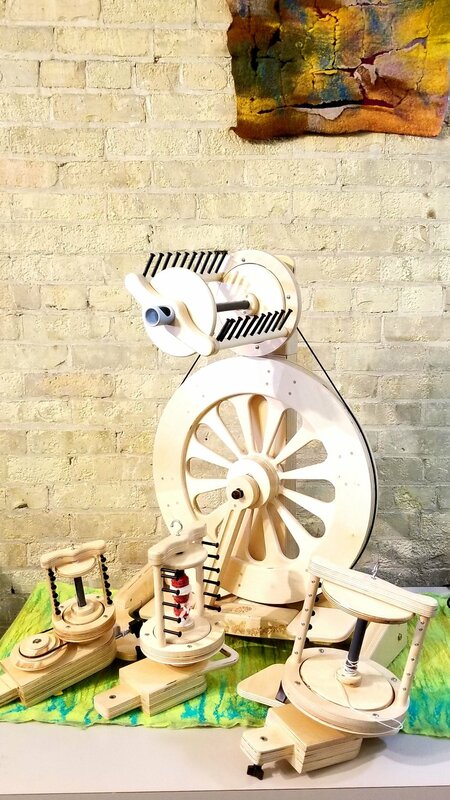 An open orifice, which allows you to spin any weight of yarn. Two orifice options for all our flyers: a large tube orifice and a hook (open) orifice. Bobbins can be changed easily with the removable magnetic orifice bar. Portability: our King Bee, Queen Bee, Pollywog, Echo, Hopper, and Firefly are all portable. Our heavier wheels have strap/wheel accessories you can purchase to roll the wheel with you as easily as carry on luggage. Heel rests and multiple rubber feet help keep the wheels stable and stationary. Heavy duty construction out of warp resistant furniture-grade birch plywood . Designed & Made in America. We rent spinning wheels by the month to allow you to have more experience without committing to the purchase of the wheel and to help you make a more informed decision if you decide to purchase one in the future. Administrative fee to setup a rental account with us is $40. 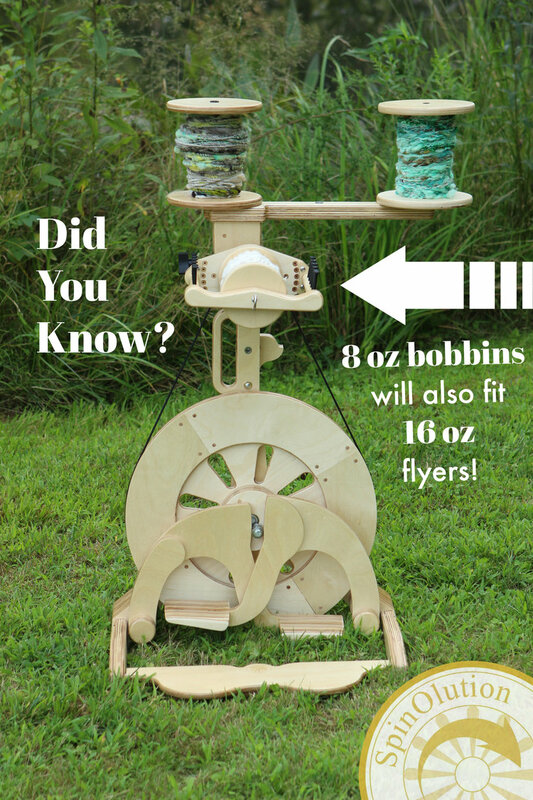 Monthly rental fee is 10% the retail value of the wheel and bobbins. Rental fees are applicable towards the purchase of ANY wheel from us within a year of the first month's rental. Each class is customized to your needs and skill level based on what you want to learn. Contact Ingrid at Ingrid@sprywhimsy.com to work out a time to explore the world of Spinning. Ingrid McMasters began spinning in 2003 and is finishing her Master Spinner Certificate from Olds College. She has fallen in love with the amazing textural differences in all things fiber; animal, and plant. She can't wait to share this rewarding and fun adventure with you.